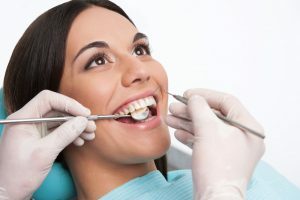 General dentistry, also called “preventative dentistry”, is the branch of dental health care that is concerned with preventing your teeth and gums from becoming unhealthy. Even those who are missing all their teeth (or babies who only have a single tooth) are candidates for general dentistry in Waco. There are several reasons for this. Even if you have no teeth at all, preventative dentistry is also concerned with the health of your gums. Your regular visits to the general dentist in Waco will include screenings for gum disease and oral cancer, both of which can be treated very easily if caught early. However, by avoiding your visits to the dentist, you may develop more serious stages of these diseases that can be painful, expensive, and challenging to treat. Did you know that the health of your teeth and gums can have an impact on the rest of your health as well? An infection in a tooth can spread to other areas of your body; TMJ can cause painful migraines; being unable to eat properly due to missing teeth can cause you to become malnourished. By caring for your teeth through preventative dentistry, you can avoid these concerns. It is important to note that your general dentist in Waco is only half of your dental care team. The other half is you! When you brush and floss at home, you are engaging in the same type of care that a general dentist can offer, and these activities are just as important for protecting your health. Want to know more about what makes you a candidate for general dentistry? Contact our office in Waco by calling 254-776-4888, or get in touch online.